Buffalo Child is an original play written by local playwright Seamus McDonagh of The Park Theater Company. 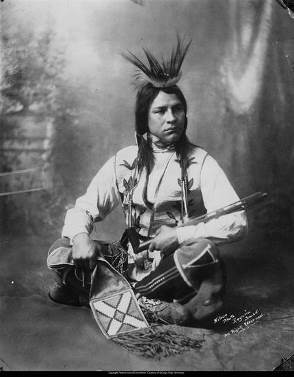 The play is based on the true life story of Sylvester Long aka Chief Buffalo Child Long Lance (1890 – 1932) who rose from humble beginnings in Winston-Salem, North Carolina to international fame and fortune, i.e. team mate and best friend of Jim Thorpe; first Native American to gain a presidential appointment to West Point; World War I decorated veteran; light heavy weight Canadian Boxing Champion; sparring partner for Jack Dempsey; journalist, writer, and advocate for North American Indigenous Peoples; running shoe endorsement for the B.F. Goodrich Company; and starring role in the internationally acclaimed film Silent Enemy which portrayed Ojibwa life before the coming of the white man. As his fame and notoriety rose so did the rumors and skepticism regarding his actual heritage. A precipitous fall from grace resulted in the mysterious circumstances of his death at age 42 and the descent of his accomplishments into the obscure fog of history. An orginal paly in three Acts. Eight performances were presented at The Sabes JCC Theatre is St. Louis Park, Minnesota.